Hi Guys! 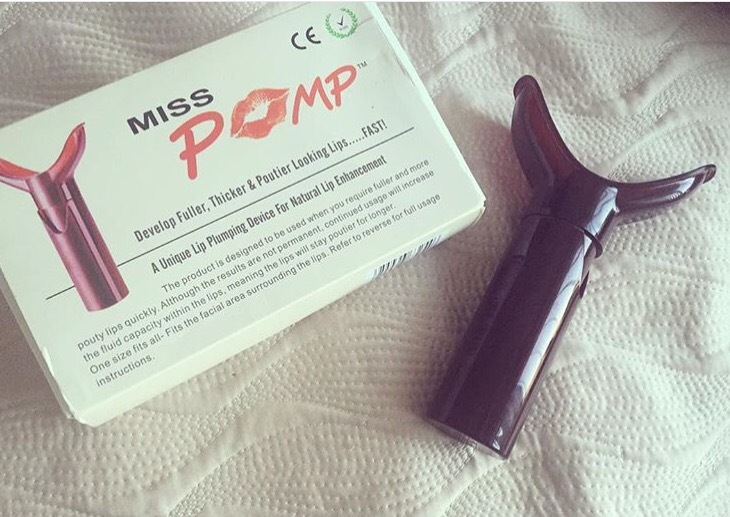 Today I have a review on this lip plumper that I adore! I purchased mine from eBay after seeing a review on it from Huda Beauty. Firstly I think this is so great and so effective. It works amazing! This product is really quick and easy to use and I think is great for on the go. I don’t really plump my lips often but when I’m in the mood I love this! It’s not only the plumper it’s self that amazing but the packaging…it’s gorgous I love the colour! It makes your lips look really big and gives you the perfect pout! Okay I think that’s enough raving for now. This product can also be quite dangerous if it’s not used properly, at first when you use it only do a few pumps because it can lead to soreness and also bruising sometimes! (Not trying to scare you!) I would suggest only do 3-4 pumps at a time while using it. Finally I think this was a great purchase and totally worth it! « DIY Lemon Face mask!